Henrik Gustafsson är grundare och instruktör på MovingMind. Han har mer än 15 års erfarenhet av att träna och lära ut qigong, kampkonst och meditation. Henriks huvudsyssla är att arbeta som Digital Strateg på IT/Management-bolaget Knowit. Han bor i västra Stockholm med sin partner och tre barn. “Jag känner väl till de utmaningar som många människor ställs inför när det gäller att hitta en balans mellan att ha en aktiv och innehållsrik fritid med familj och vänner och samtidigt lyckas på ett professionellt plan. Det som tidigare varit stimulerande och kul kan plötsligt kännas pressande och otillfredsställande. Sannolikt går vi mot en framtid med ännu större grad av stress, snabba skiften och högre krav på individens fysiska och psykiska resurser. MovingMind försöker fylla en lucka bland etablerade träningsformer och terapier genom ett erbjuda ett integrerat verktyg för människor att själva påverka sin hälsa, fysiska och mentala styrka och känna rikligt med energi och inspiration. 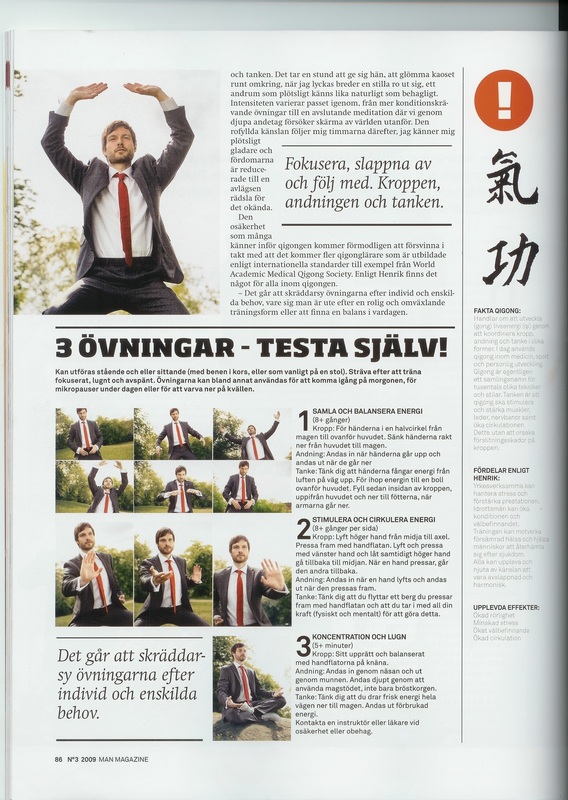 Artikel om Henrik i tidningen MAN Magazine - "Qigong träning för den moderna människan"
Artikel om Henrik på Yangtorp.com - "I wish others and myself good." 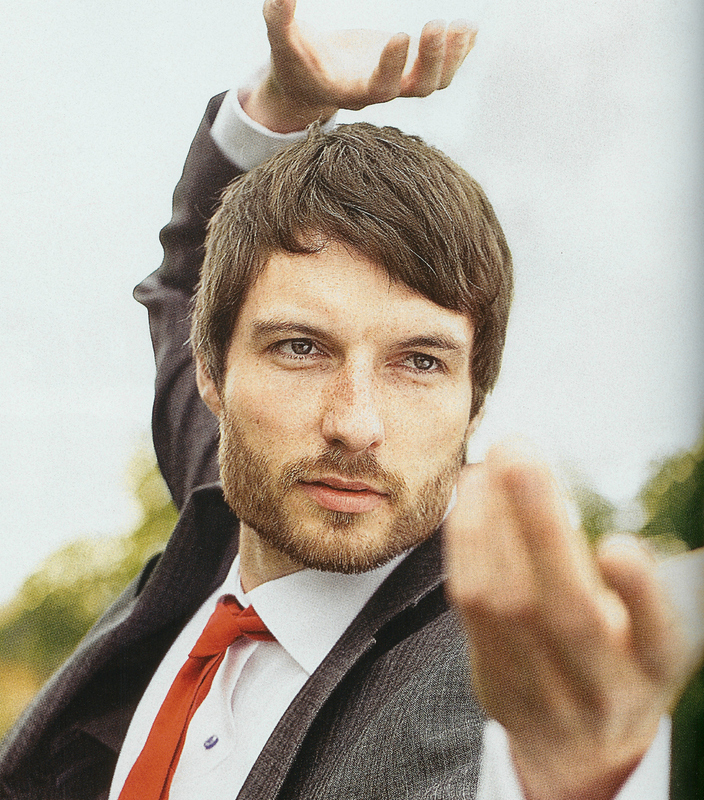 Henrik Gustafsson has been practising and teaching martial arts and qigong since his teenage years. He is now the MovingMind coach – a result of a search for powerful tools to achieve health, well-being and personal growth. Henrik also works as an advisor at Knowit, an IT management consultancy company, helping businesses becoming more collaborative using new social, mobile and web-based technology and agile work practices. We live in a time where the possibilities to communicate and to be accessible are boundless. A time when a focus on efficiency and remaining healthy and strong are highly desirable. The everyday life of Henrik is not in itself unique. Like many others he struggles to combine a demanding full-time job in an urban environment with family life and active leisure time. Yet he is not tempted to turn his back on the contemporary life he is living, but instead seeks to find a ”middle-way” to enjoy the good things in life. ”With a focus directed outwards, in constant search for stimuli and satisfaction one easily loses oneself. Through qigong training one isn’t as easily influenced, and one might find oneself more resistant to external stress”, says Henrik. ”Impression and susceptibility in itself won’t be reduced in the future, therefore it is even more important to find a way to conduct oneself." Therefore Henrik has a specific interest in how to apply qigong in a modern context to increase our personal energy, work productively as individuals and teams, creatively solve problems and make decisions and act with integrity and confidence. Historically, qigong has been performed by physicians, philosophers, scholars and soldiers to create physical vigour, emotional balance, mental freshness and spiritual cultivation. This has been achieved using a wide variety of qigong exercises – powerful forms, dynamic exercises, balancing massage and still meditation. The ancient practitioners wanted to succeed in their professional endeavours and searched for a life of joy and meaning, quite similar to the needs of contemporary people. ”The Chinese used to say that everyone has a monkey running around in their heads, one good start could be to try to moderate the noise a bit to give body and soul some space”, says Henrik who offers effective methods, inspiration and seminars through his professional coaching.